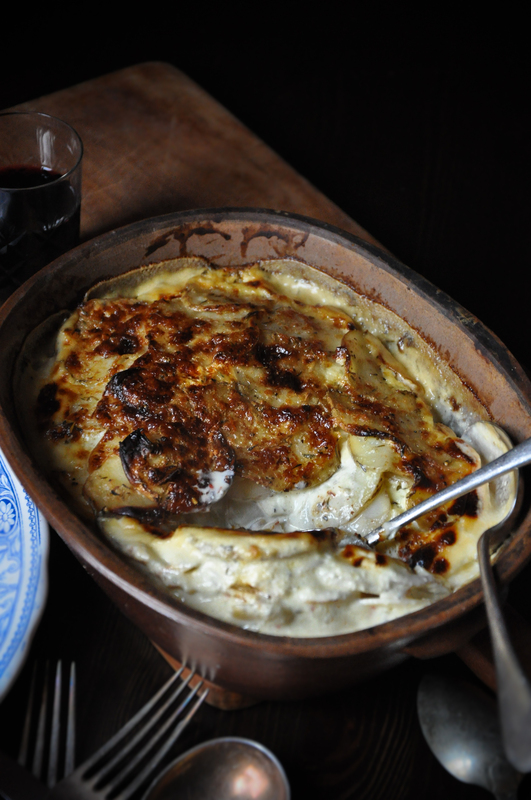 This is not a traditional dauphinois, it’s just been adjusted to for our tastes. I know it’s really naughty so my concession is to use Elmlea 50% reduced fat double cream, yeah I know that’s like people ordering a huge takeaway meal and having a Diet Coke on the side but I don’t care! Garlic powder is something I also love. I use it in so many dishes, sprinkled on homemade oven chips/roast potatoes it gives a sweet garlicky taste without any bitterness or harshness and you control exactly how much you use as its in such a fine powder form. We have our own chickens that are ex-battery farm girls so we use a great deal of eggs, the yolk in this recipe just adds that extra bit of luxury. I never peel my potatoes for this as apart from their being so much goodness in the skin I just like it that way, I prefer waxy but it’s entirely up to your preference. My oven is really quite rubbish (actually its a bloody nightmare) and temperature fluctuates massively so the timings are what works for me. Preheat oven to 180C. Combine everything except the potatoes in a bowl, mix thoroughly, leave to sit for 30 minutes (not entirely necessary but really does help bring out the flavour). 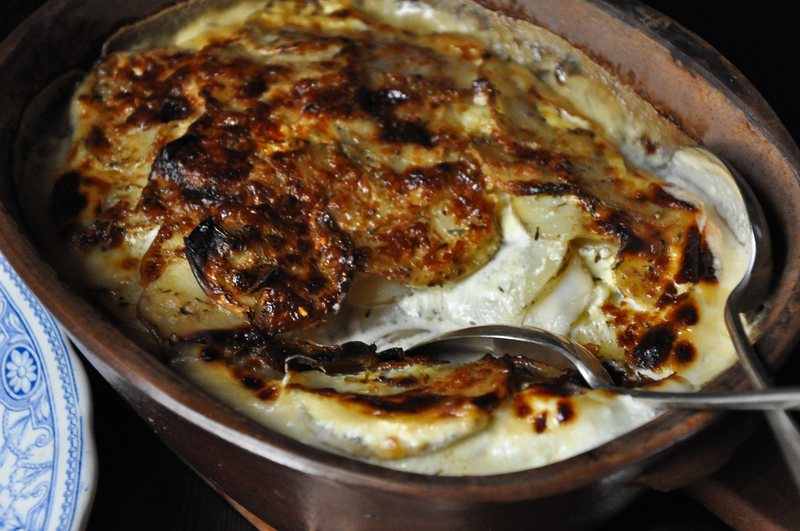 Keeping some creamy mixture to one side combine with the potatoes and give a good mix to make sure its all well coated in the tray then pour the remaining cream over the top, grate over some cheese, cover with foil and roast in the oven for about an hour or until thoroughly cooked. Remove the foil then cook for a further 10-15 minutes to brown. Dead easy and really tasty!